WELCOME BACK: The Seabourn Odyssey docks at Havensight passenger ship dock in St. Thomas on Friday. CHARLOTTE AMALIE — At least 25 cruise ship calls are scheduled for St. Thomas this month. The Ports of the Virgin Islands have confirmed that between November 3 and 30, 2017, thousands of cruise passengers are expected to arrive in the territory. 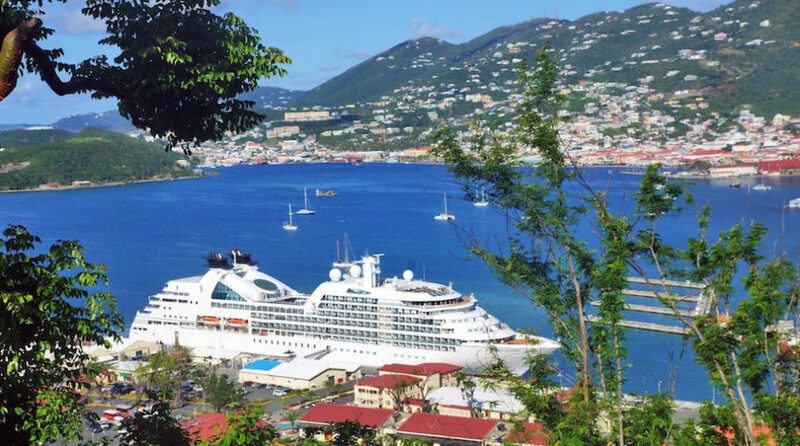 Ships planning to dock in the Charlotte Amalie Harbor include Seabourn Odyssey, Norwegian Gem, Princess Cruises’ Royal Princess, Royal Caribbean’s Adventure of the Seas and Jewel of the Seas, and Celebrity Cruises’ Silhouette. “Welcoming cruise visitors back to the U.S. Virgin Islands is a key element of our plan to boost economic activity, generate employment and stimulate recovery efforts,” said Beverly Nicholson-Doty, Commissioner of Tourism, underscoring that as the recovery and construction economy kicks into higher gear, including important work to enhance the islands’ hotel product over the next year, it was important to get the cruise component of the economy moving forward. Together with the Federal Emergency Management Agency (FEMA), the U.S. Army Corps of Engineers and other agencies and organizations, the territory has been working since the passage of Hurricanes Irma and Maria in September to ready itself for the phased return of tourism to the destination. The arrival of the Seabourn Odyssey in St. Thomas on Friday (November 3) marks the first non-relief vessel to berth in the territory since September 17, when Royal Caribbean’s Adventure of the Seas arrived at the Ann E. Abramson Pier in Frederiksted, St. Croix. The ship brought passengers to the island just days before Hurricane Maria struck. Nicholson-Doty once again thanked Royal Caribbean International for committing resources to assist with the restoration of Magens Bay, one of St. Thomas’ favorite attractions. According to the latest schedule issued by WICO and the Virgin Islands Port Authority, 28 ships are scheduled to visit St. Thomas in November, increasing to 64 in December.